Push your weather woes to the side this weekend and do something to brighten up your spirits. 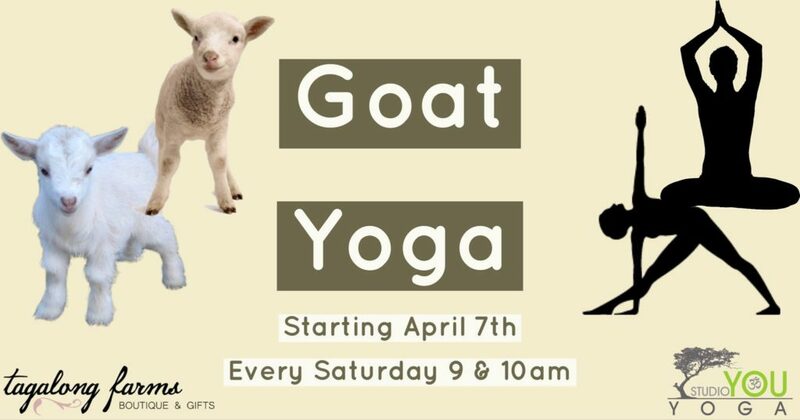 Support a great local cause with Howl at the Moon for Music Therapy, participate in goat yoga (because WHY NOT?! 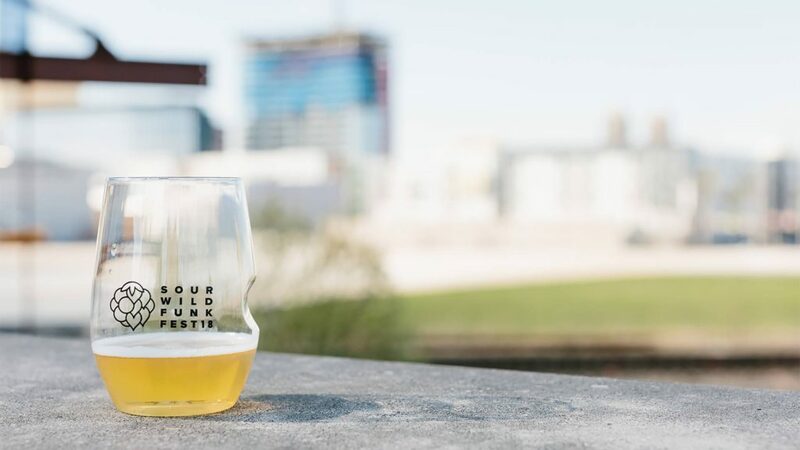 ), taste some of the best sour, wild, and funky beers in the country at Sour Wild Funk Fest, & get your wands ready for a Harry Potter themed Expecto Bar Crawl in Broadripple. Hotel Tango Artisan Distillery is hosting a Foxtrot Friday: First Friday Art Show from 5pm to 9pm. The featured artists include: Aaron Ochoa & Josh Haines. Aaron makes one-of-a-kind furniture & will have work for sale. Featuring unique combinations of steel & wood coffee/entryway tables, benches, suspended tables, lamps, & more. Josh is a painter working out of Indy. In the studio he works on surreal themes including abstraction, figuration, and landscapes. 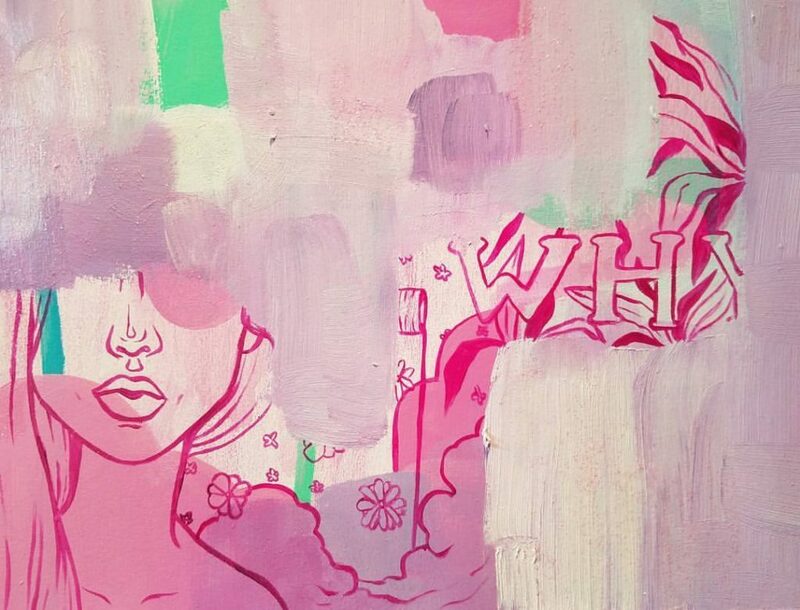 Painting with a saturated palette, Haines idealizes his subjects with whimsical nature. Foxtrot Friday is free to all. 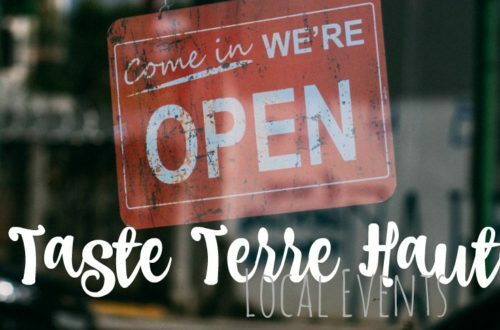 April Chef’s Night at Clabber Girl takes place from 6pm-8:30pm during Terre Haute’s Downtown First Friday event. Enjoy dinner features created by Executive Chef, Amanda Shook. The Clabber Girl Bake Shop will feature a Ramen & Noodle Bowls themed menu, live music, & a cash bar. No reservations are needed. The Union Health Foundation is hosting a fundraiser for music therapy. 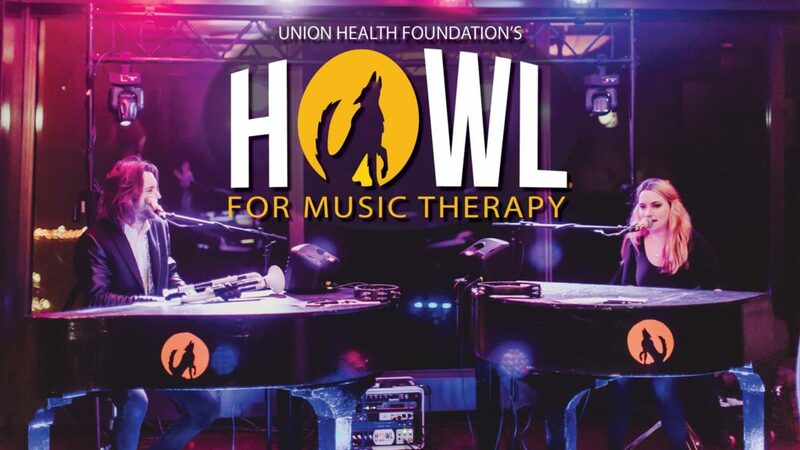 Howl for Music Therapy will take place at the Terre Haute Brewing Company from 6:30pm-11pm. A buffet dinner will be served at 7pm, followed by 2.5 hours of interactive entertainment with the legendary Howl at the Moon musicians. 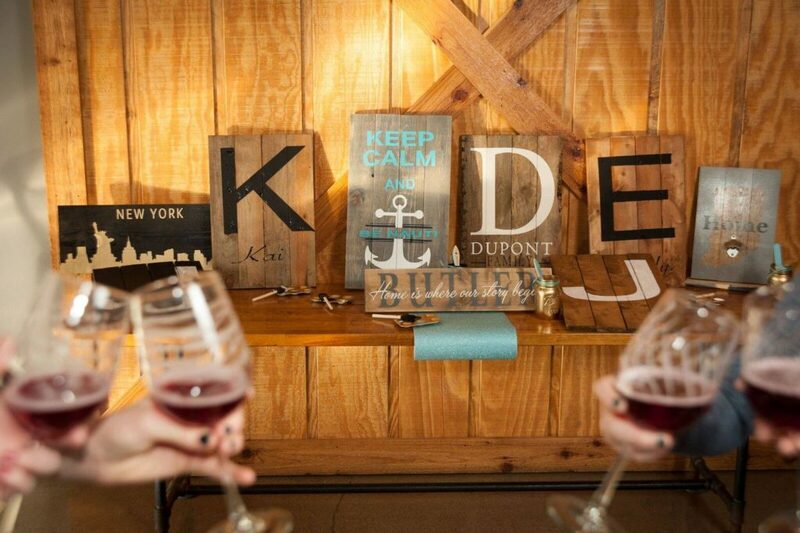 A cash bar will also be available to get your drink on. Tables & seated tickets are SOLD OUT, so the event is currently at standing room only. Purchase your tickets HERE. 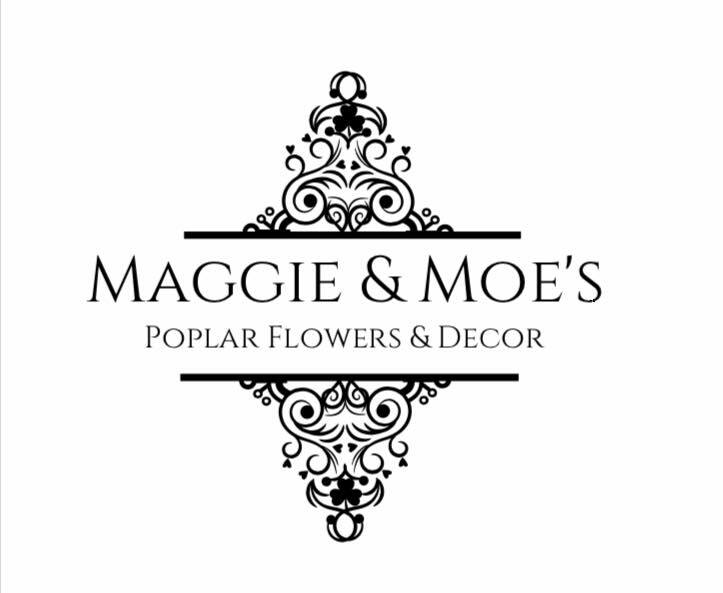 Stop by the Grand Re-opening of Maggie & Mo’s Poplar Flowers & Decor Shop, formally known as The Poplar Flower Shop. Go behind the scenes and watch their designers at work or just take time to browse through all their new offerings. The ribbon cutting will take place at 2pm. 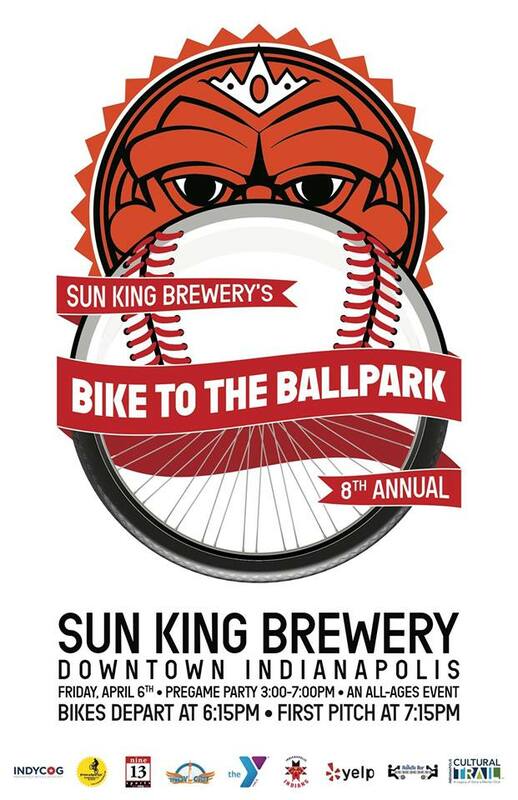 The 8th annual Bike to the Ball Park will take place beginning at 3pm at Sunking Brewery. 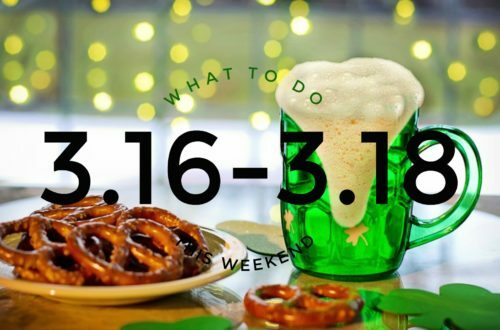 Start with a pre-game party at the brewery, in downtown Indianapolis, Then pedal with Indy’s Mayor Joe Hogsett to Victory Field to see the Indians in their season opener against the Columbus Clippers. There are only 200 spots to register now at Indy Cog. 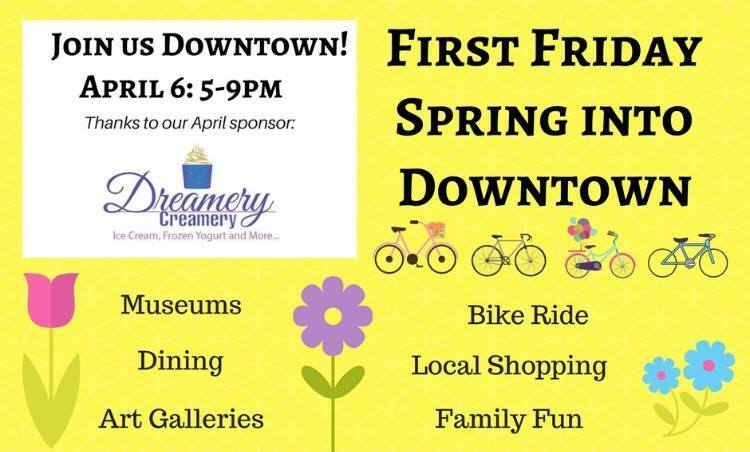 This Friday in Downtown Terre Haute is the First Friday event Spring into Downtown. Enjoy an evening sponsored by The Dreamery Creamery. From 5pm-9pm check out the wide selection of restaurants, visit an art gallery or museum, & shop local! Dust off your bike and join the RAD bicycle ride for all ages. If you a basketball fan check out the Milan Miracle playing at the Indiana Theatre. 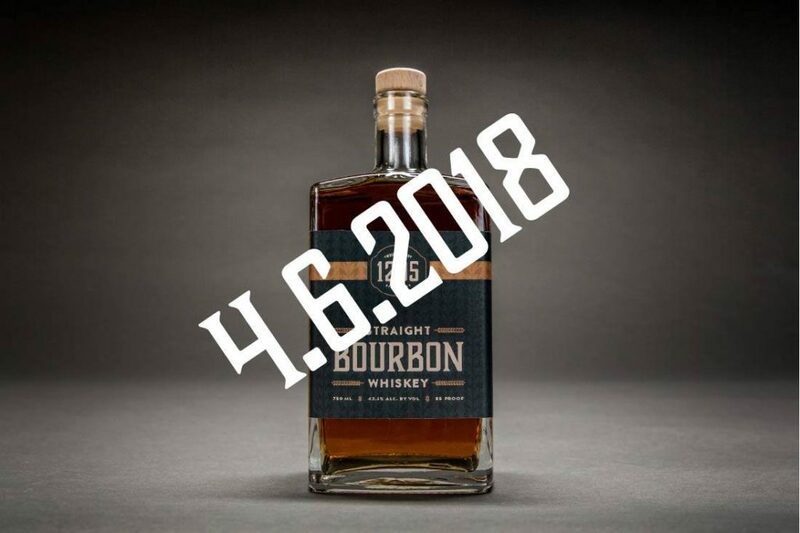 The release of 1205 Distilleries 3rd batch of 1205 Straight Bourbon is approaching! Aged in full sized American oak barrels for over 2 years, this bourbon brings notes of vanilla and fruit to your palate. If you have followed our last 2 bourbon releases, you will know that these bottles can go pretty quickly so make sure to come in to secure yourself a bottle or 2! They will have bottles for sale and pours available starting at 5pm. Art at the Market is back! 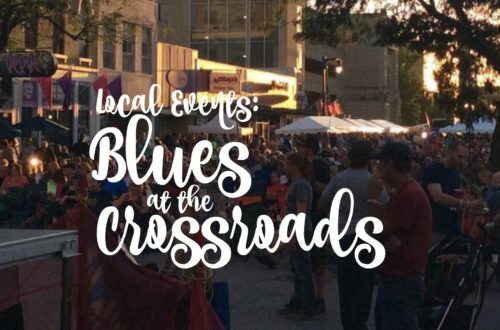 Venture to one of the newest venues for First Friday in Indianapolis to enjoy local artists, a special musical performance, and Indiana craft beer from Tomlinson Tap Room! Local folk musicians The Two Starlighters will perform live, setting the mood for a variety of artists set up to show their incredible work! 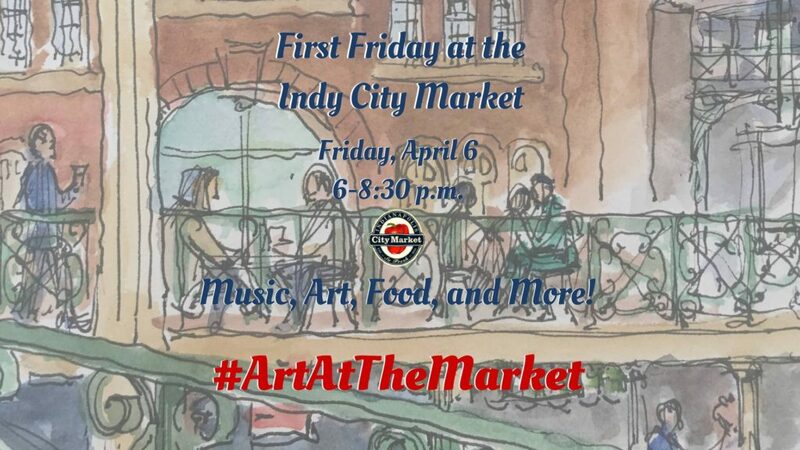 First Friday at the City Market will feature the following City Market Merchants: 3 Days in Paris, Circle City Soups, Gomez BBQ, His and Hers Boutique, Mambos, Mauricio’s Pizzeria, Mile Square Coffee, Spice Box, The Flower Boys, The Tamale Place, Three Carrots, and Twenty Two Juice. This event is free and open to the public. Tomlinson Tap Room is a 21-and-up space only, so please have your ID ready. 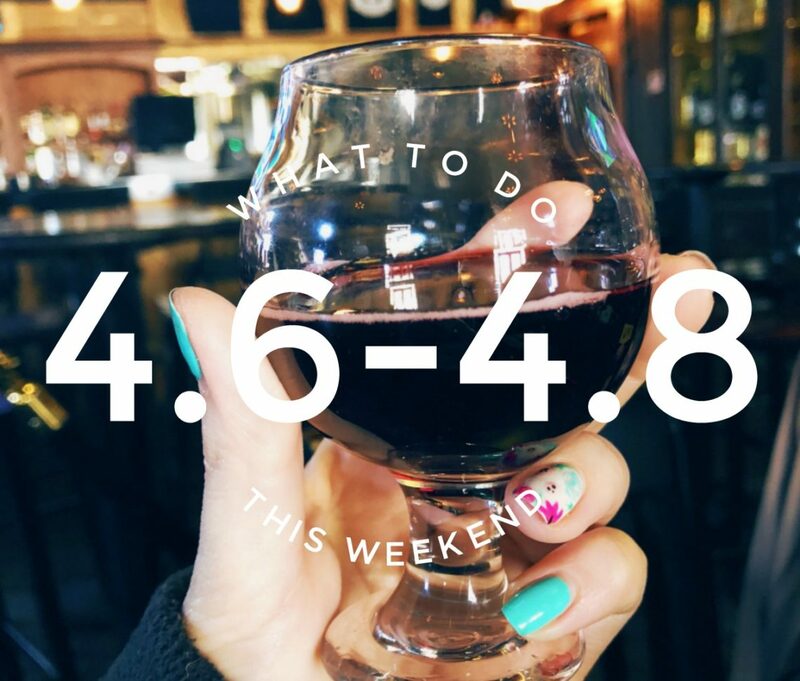 Don’t let “Brewing” in the name fool you – along with the amazing brews – this venue boasts a Full Bar, Excellent Food, Stellar Service & Amazing Atmosphere! TwoDEEP Brewing Co in Indianapolis is hosting a craft event with Pine2Posh to create a beautiful pallet. Register for the class HERE, the class is from 7-9pm. This has been on my bucket list for some time & I will have to attend this class soon! Goat Yoga, it’s yoga with baby goats at Tagalong Farms in Franklin, Indiana. This event is taking place every Saturday at 9 & 10am after this weekend. 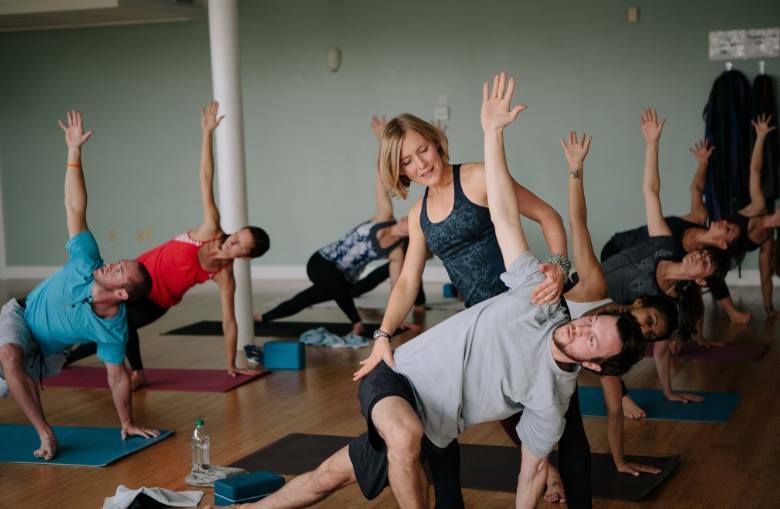 These classes will run through October and they are for all yoga levels. Each class is limited to 20 people, so pre-registration is required. $20 for adults, $18 for Kids under 15. Register HERE! The Growing Places Indy Winter Farmers Market YOGA Series will take place at Centerpoint Brewing – RIGHT NEXT DOOR to the IWFM location at the Circle City Industrial Complex (1125 E Brookside Ave)! This yoga series runs Saturdays from 10am – 11am. Classes are held at Centerpoint Brewing. We are grateful to Centerpoint for hosting, and we appreciate your understanding that it means you must be 21+ to attend. The Growing Places Indy Winter Farmers Market – aims to make your market experience healthy for the mind, body and soul. Every Saturday, IWFM shoppers are invited to their mats for a practice appropriate for all levels.Thank you to lululemon Indianapolis for sponsoring this series of by-donation classes (suggested donation $10 or more) and to the Indianapolis yoga teachers who donate their time to teach these classes. Through lululemon’s sponsorship, 100% of donations from these classes fund the IWFM Eat Well Initiative. This program allows SNAP (aka food stamp) benefit users to double their purchasing power dollar-for-dollar when buying fresh, healthy, sustainable and local produce at the IWFM. Join Prairie Fruits Farm & Creamery in Champaign, IL for “Brunch with the Babies”. This event runs every Saturday and Sunday throughout April from 9:30am – 12:30pm. This is a free, family-friendly event. Visit with the goats, enjoy emerging signs of spring, buy local farm products and enjoy some locally-sourced & delicious morning treats. They had over 50 baby goats born in March, with more on the way. Show your support of local, sustainable farms by picking out a few items through our on-site store, The Real Stand. We’ll have cheese and gelato that are made by the Praire Fruits Farm team. We also feature products from local farms such as Bane Family that produces meats & eggs. T-shirts, sweatshirts and home goods available too. 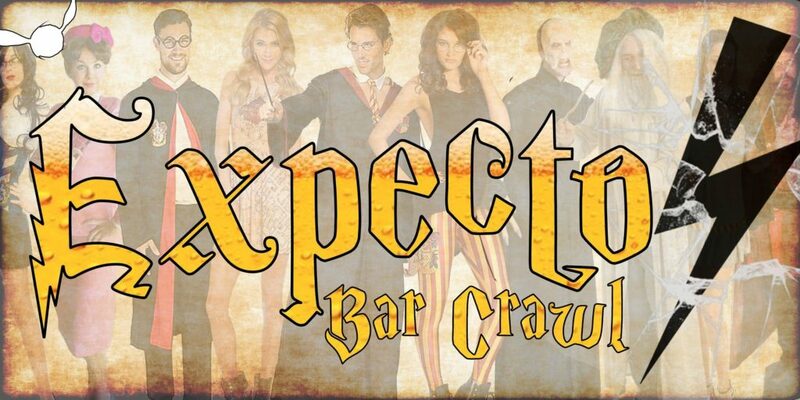 Grab your robes and wands, head to the nearest portkey and transport yourself to Broad Ripple because Expecto Bar Crawl will commence on April 7th at 3pm. Wizards, Halfbloods and Muggles, you’ve heard correctly, EpicEventz is combining Potter theme and booze for an utterly magical mixture that you won’t want to miss! Let the Sorting Lanyards decide if you belong to Gryffindor, Slytherin, Ravenclaw or Hufflepuff! Accio beer! -Themed drink specials during the crawl. -No cover at participating locations. -Exclusive beer stein souvenir cup. -Thousands of Wizards, Halfbloods and Muggles. -Neck lanyard to ensure bar entry and drink specials. (Lanyards are required if you are dressing up to gain bar entry). -Your own Unique Wand at Check-in along with other Surprise gifts!!! Get your tickets HERE. 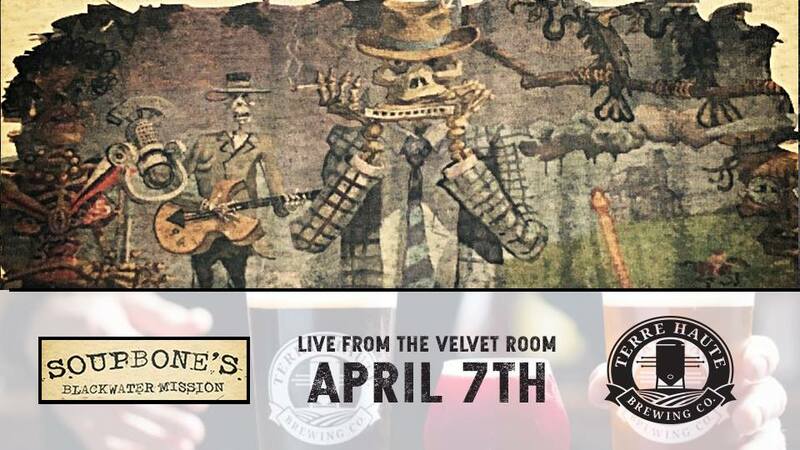 Enjoy an evening of Soupbone’s Blackwater Mission at the Terre Haute Brewing Company from 7-9pm. 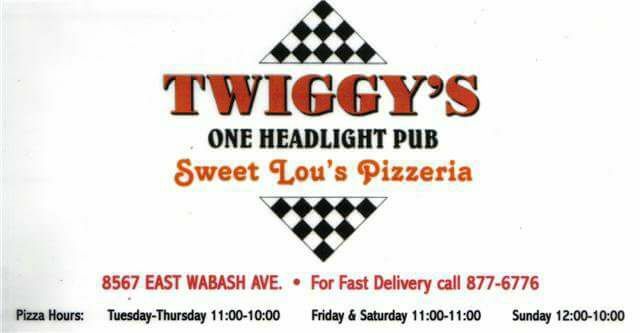 Join local musician Don Morris at Twiggys for live music from 8-11pm. Join Upland Brewing Company for the 2018 Sour Wild Funk Fest—early bird tickets on sale now while they last! Sour Wild Funk Fest is our annual celebration of the best sour, wild, and funky beers in the country—even world. It’s the only one of its kind in the Midwest. Our 2018 festival will host even more breweries than years past, with beer samples on all four levels. The event runs from 2pm-7pm. VIP and Early Bird tickets are sold out—but there are many General Admission tickets still available. Get yours today before they run out! 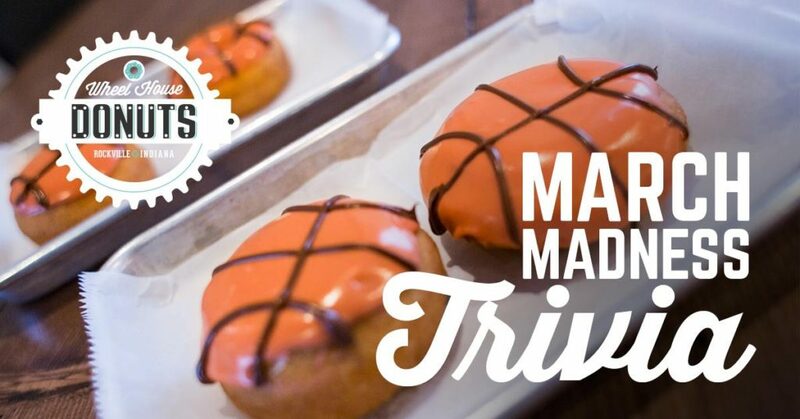 Wheel House Donuts Presents: March Madness Trivia at 1pm. Grab some friends to form a team and come down to Wheel House Donuts for an afternoon of trivia! The winning team will receive 1 dozen FREE donuts and bragging rights! Couldn’t make it to The Copper Bar’s first Boozy Brunch?! You’re in luck! They will be serving their Boozy Brunch every Sunday from 10AM – 1PM! 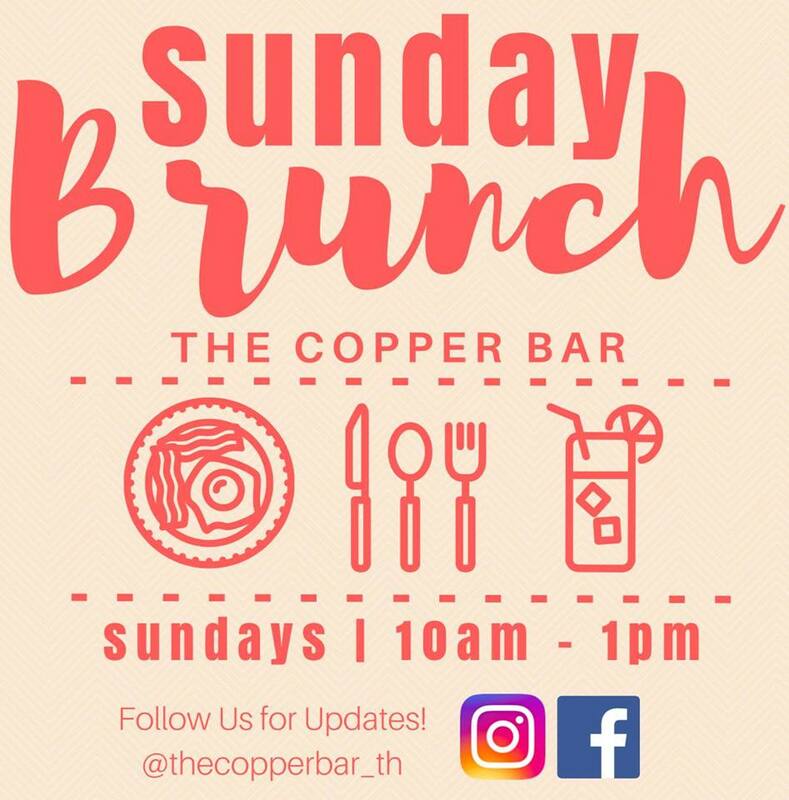 With a menu full of the best “Brunchies” and “Feel Better Beverages” in the Wabash Valley, we’re sure The Copper Bar will become your favorite Sunday hangout destination! 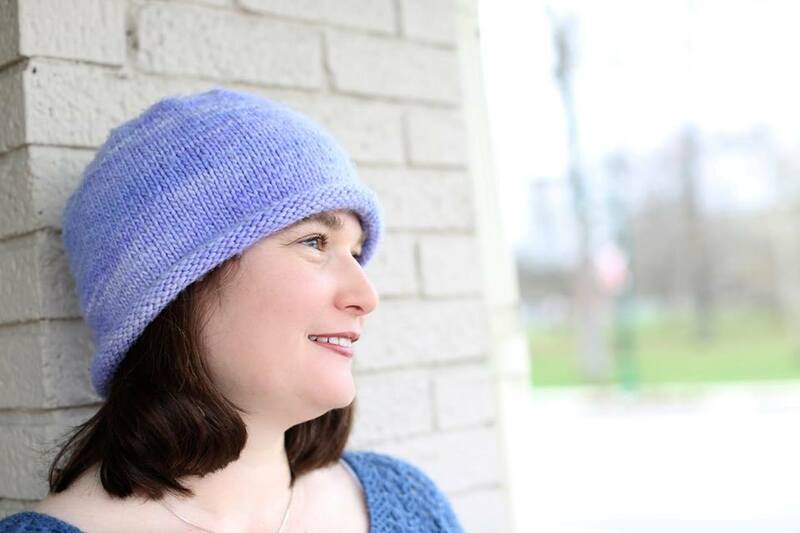 Learn the very basics of the absorbing hobby of knitting, from which way round the needles go to how to make your first hat project. You can even have a pint or two!